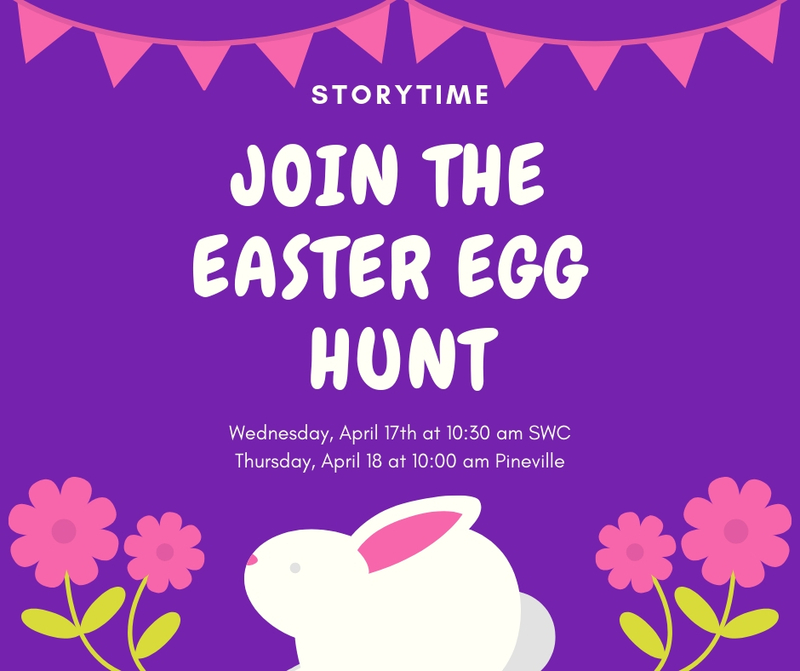 Please join us for a special storytime followed by an Easter Egg Hunt, Thursday, April 18th at 10:00 am at the Pineville location. All Programs of the McDonald County Library are free to attend. Suggested age range: birth to 5 years.